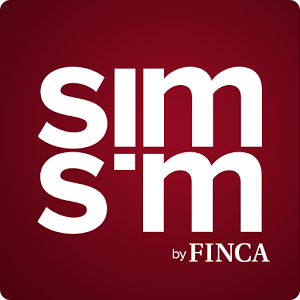 Free Download SimSim Wallet App Apk for Android smartphones, tablets and many other android devices from our website right now. To download the SimSim Pakistan Wallet App Apk for your Smartphones and tablets just tap/click on the download link given at the end of this description. SimSim Pakistan is now officially available for Pakistani users to make online transactions. The service of SimSim Pakistan is launched in Karachi, Sindh then they will soon after spread it to rest of the country. SimSim Pakistan App Apk is the android application of SimSim Pakistan services and the app has been downloaded by more than fifty thousand users across the country. SimSim Pakistan App is offered by FINJA that is a organisation which is providing such services. I have mentioned some of the important information in above paragraph but here I will discuss the main functions and feature of the app “SimSim Pakistan App Apk”. SimSim Pakistan conducts all the transactions through its Mobile Application “SimSim Pakistan Apk” and it works like Easypaisa however, the difference is that as I said, all the transactions has been done through its App. Furthermore, there are no such outlets and withdraw funds. In order to consume money across the country via SimSim Pakistan App, you need to have a bank account otherwise; you cannot get benefits from the services of SimSim Pakistan (FINJA). Therefore, you need to register an account on the “SimSim Pakistan App Apk”. Secondly, you have to register your bank account too while creating account on the app. After clearing the entire necessary tasks you will be allow to consume your money anywhere anytime you want via SimSim Pakistan App such as online transactions, bill payments, online shopping in the country and so on. You can cash out your money from any ATM machine available in your area very easily via your ATM card. Furthermore, you can transfer money to other bank accounts via App. There are no such charges for transactions on SimSim Pakistan App, however you will be charged 8 Rupees for sending money to any bank account. In simple terms transactions from one SimSim account to another SimSim, Paying the bills and paying Vendors is absolutely free of cost. However, if you are sending money to any bank account then they will charge you 8 rupees. Nevertheless, if you are sending less than 10 thousand money to any bank account then it is also free but transferring more than 10 thousand, you need to pay 8 rupees. Creating an account on “SimSim Pakistan” is very simple just download the App from our website right now and install it on your Android devices. After installing the App, open it and go for Sign-Up there you will see a form fill it correctly, remember these are essential such as your Full Name, father’s name, mother’s name and CNIC. Once your account created you will be asked to add funds, send money to anyone, get funds from someone, buy tickets such as for Movies, Pay Bills and so on. It has a very simple usage so get the app from our website and install it on your android device you will get to know with time to use the app.